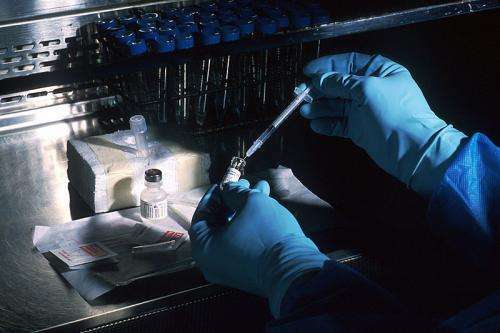 Researchers have discovered a protein they believe would help make vaccinations more effective and provide protection from other diseases such as cancer. The findings, which appear online in Scientific Reports, allows for greater understanding of how vaccine enhancers work and can best be used. "This study has wide implications as it could not only be used to help the body identify and fight off bacterial infections, but it could also potentially help the body use its own machinery to fight off other diseases like cancer, HIV, and influenza before they have a chance to establish within the body," explained corresponding author Lee Wetzler, MD, professor of medicine and microbiology at BUSM. "Our study deepens the general understanding of how vaccine adjuvants modulate immune responses. The antigen formulation with PorB triggers a sequence of cellular events at the periphery and in lymphoid tissue that are critical for the establishment of protection to a broad array of infectious diseases, and maybe for other diseases like cancer," added Wetzler, a physician in Boston Medical Center's Department of Infectious Diseases.